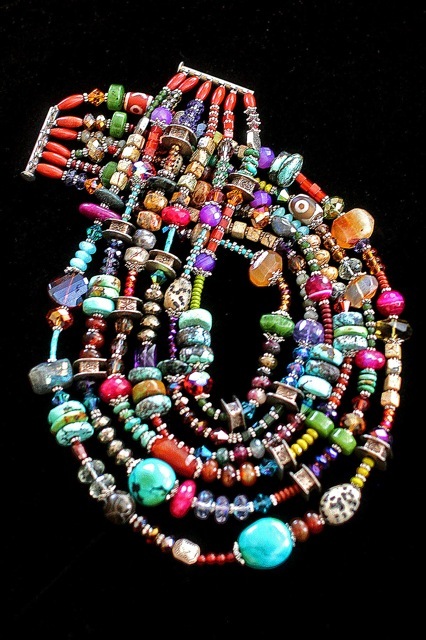 I must admit, I wear Amy's pieces most of the time, primarily because they make me happy. 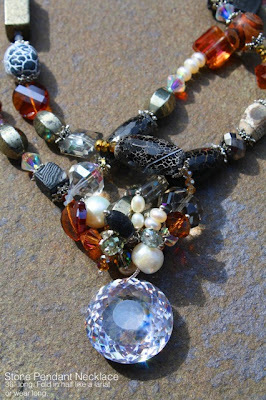 Secondly, they go with most everything... from my most casual cottons and linens to the dressiest silks and organzas and velvets. 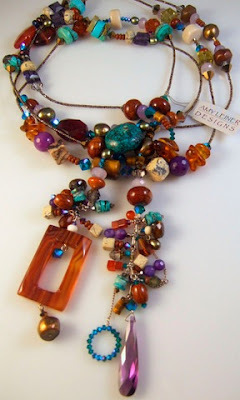 E-mail or call me if you see something you can't live without! 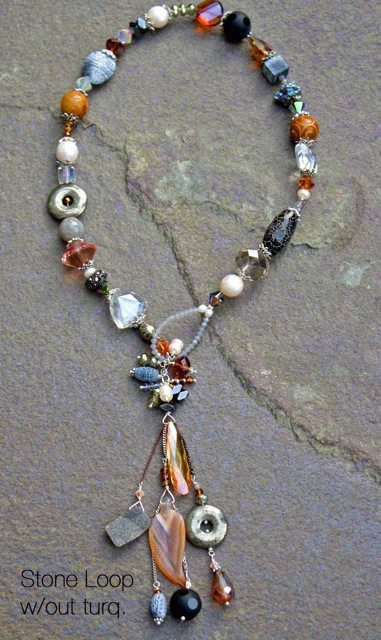 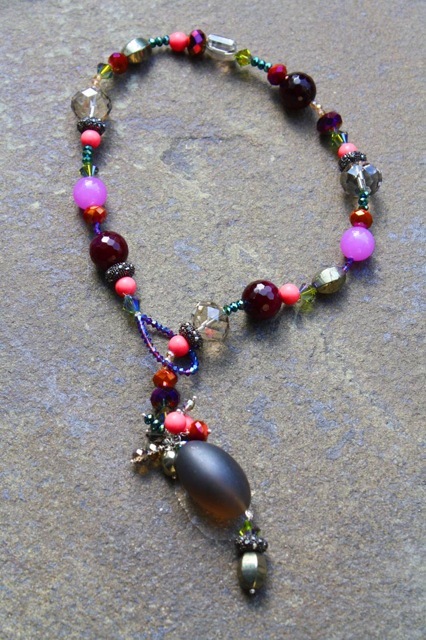 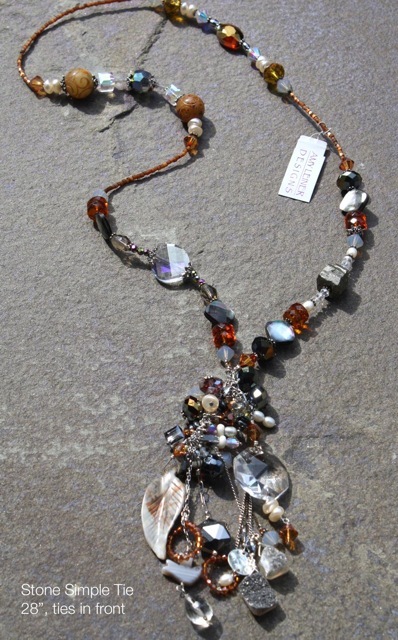 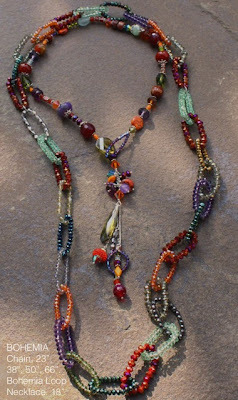 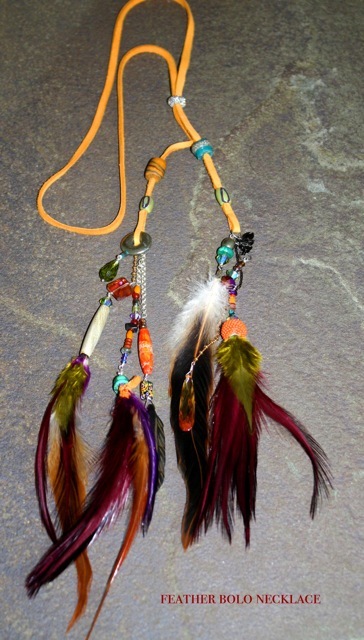 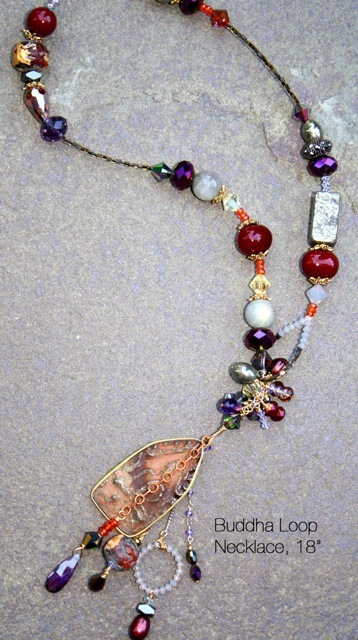 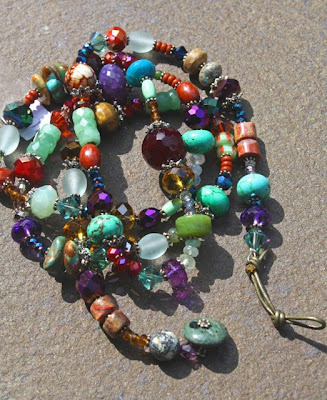 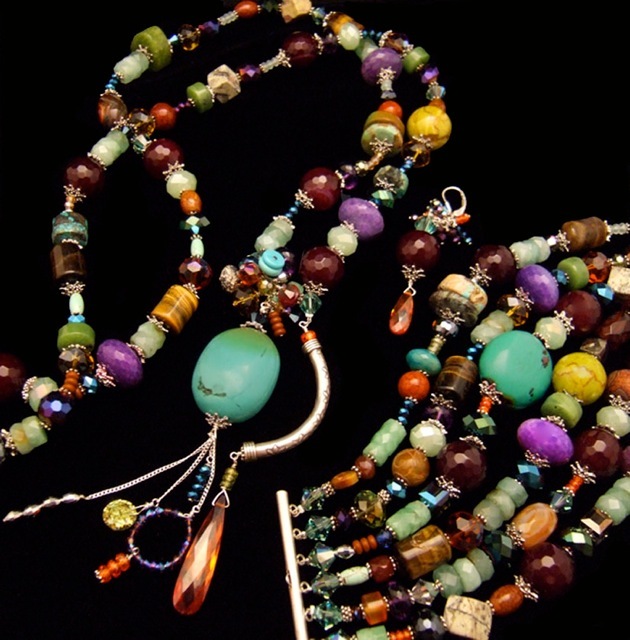 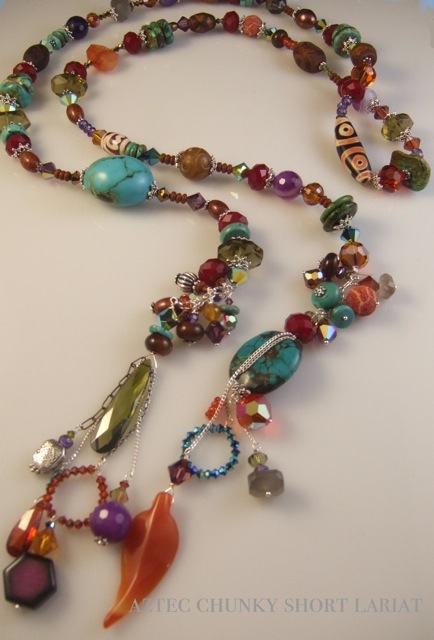 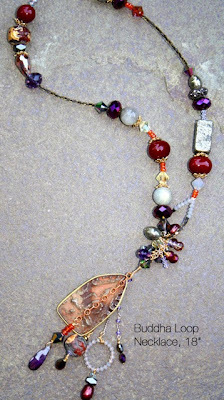 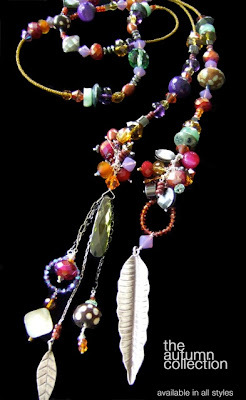 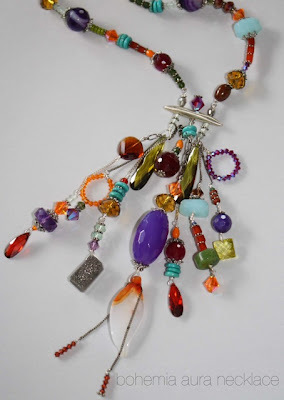 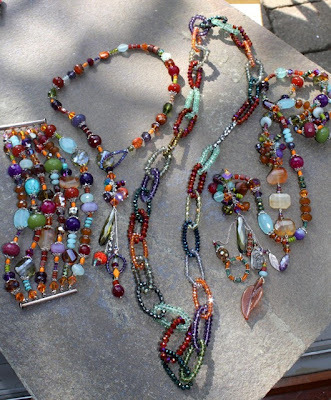 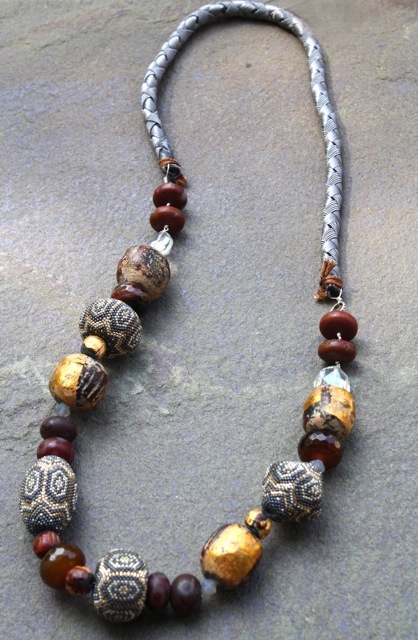 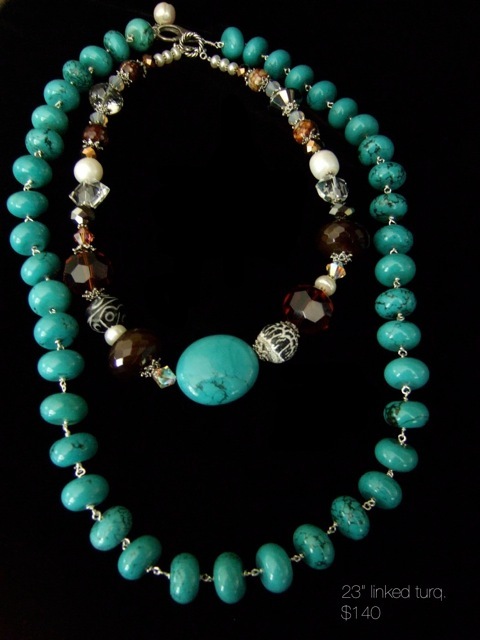 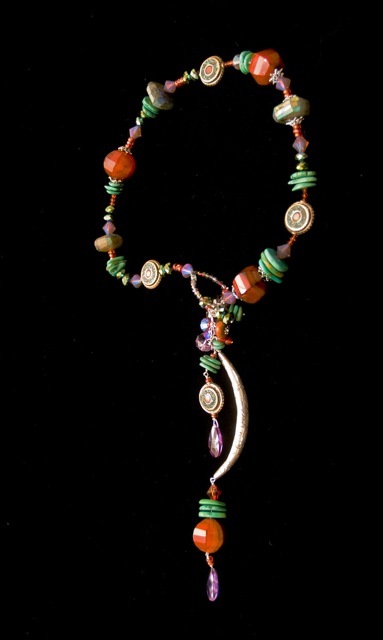 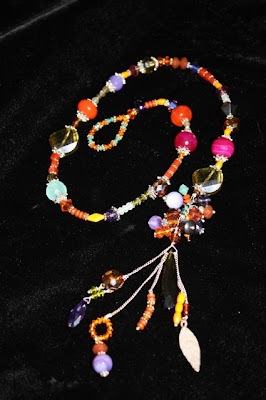 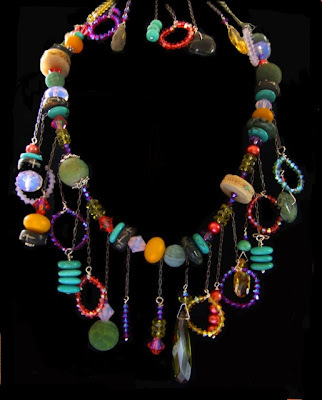 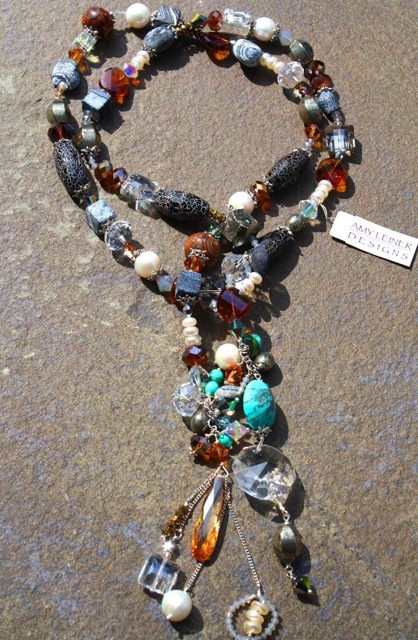 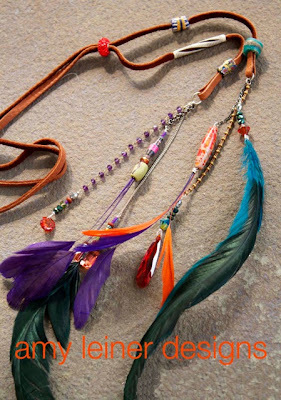 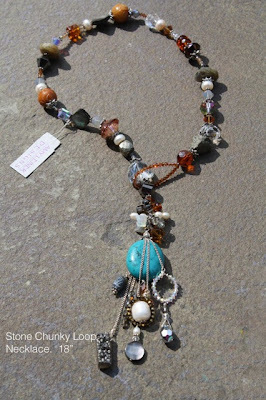 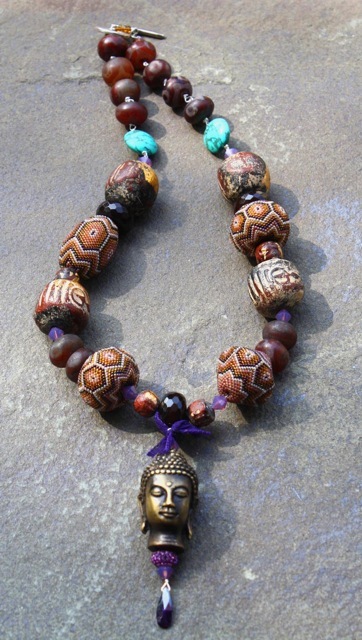 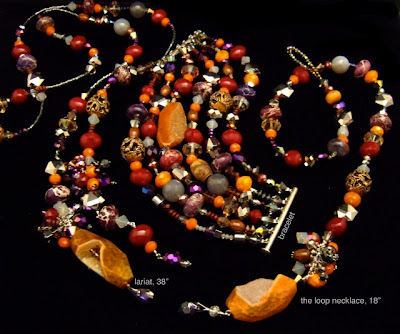 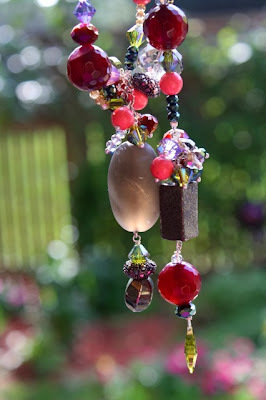 Semi-precious stones make up Amy’s stunning loop necklaces, lariats, fabulous long strands and earrings. 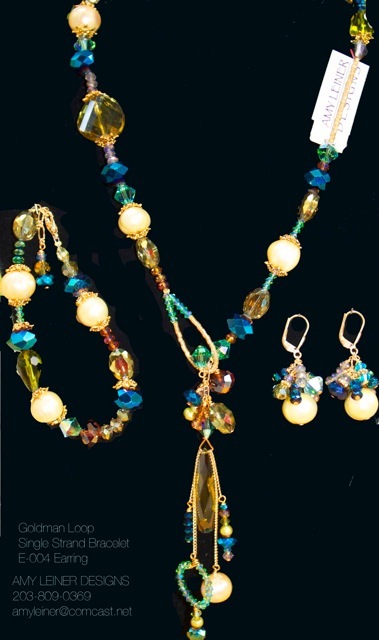 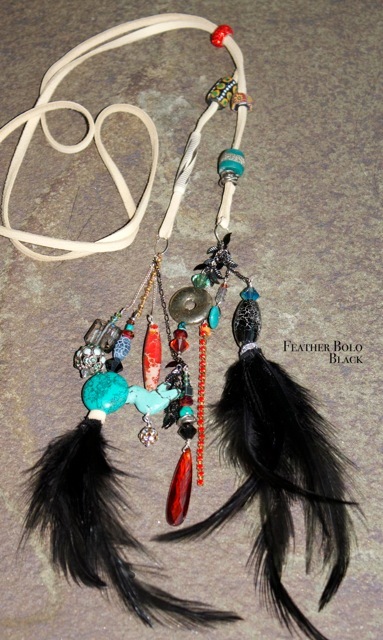 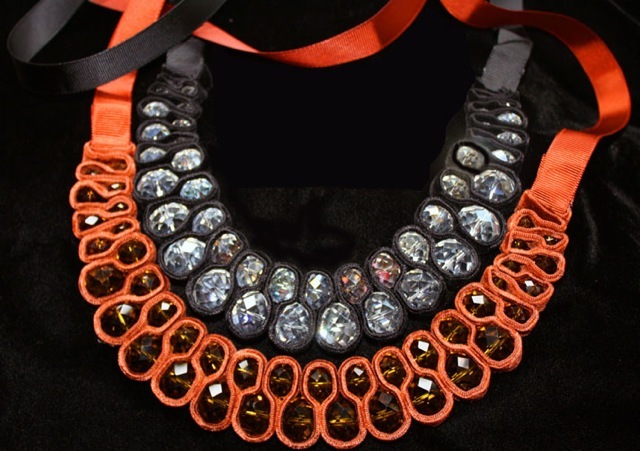 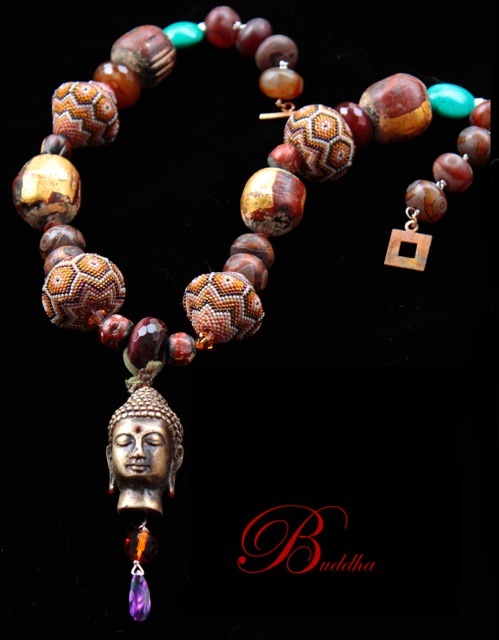 Designs vary from the very delicate to the bold and dramatic statement pieces. 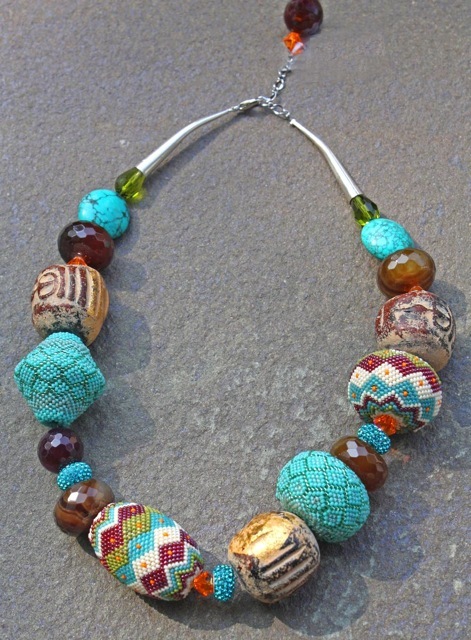 The stones are put together in color stories... aztec, night, heaven, green tea, and stone, to name just a few. 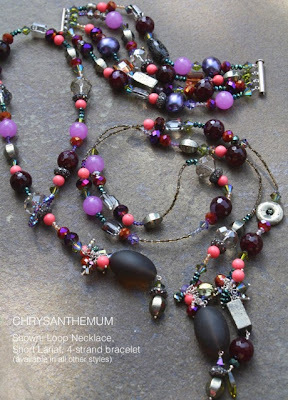 This is very versatile jewelry... it looks wonderful with Lee Andersen’s sheer jackets, as well as Cynthia Ashby’s more casual styles.